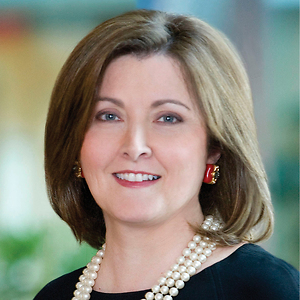 Kathleen Furey McDonough is the chair of the firm's Executive Committee. Her practice focuses on litigation in the federal and state courts in Delaware, with an emphasis on labor and employment, trade secret and commercial litigation. Kathleen regularly represents clients before the Delaware Court of Chancery in matters involving restrictive covenants and non-compete agreements. She is the founder and head of the firm's Labor and Employment practice, representing management clients in all manner of labor and employment disputes as well as representing secondary and post-secondary institutions with respect to education law issues. In addition to her first chair litigation practice, she has substantial experience in conducting internal investigations. Kathleen is a member and former chair of the Advisory Committee for the U.S. District Court for the District of Delaware and served for several years as a mentor in the Federal Trial Practices Seminar established by the judges of the U.S. District Court in Delaware to provide instruction to junior lawyers regarding practice before the Court. She is a member of the board and the Executive Committee of Christiana Care Health System and a board member and former board Chair of the Delaware Community Foundation. Recognized as The Best of the Best in 2013 Super Lawyers ranking of Delaware lawyers, signifying 10 lawyers who achieved highest point totals in Delaware rankings.